Has a lawsuit been recently filed against you by one of your creditors? If yes, do not be distressed, but take the next wisest course of action - get a qualified Attorney. Attorney Christine Hansley, has been admitted to the Florida Bar since 2004 and has been defending people sued by debt collection companies, credit card companies, and banks since then. We also assist individuals in the filing of Chapter 7 Bankruptcy. And our prices are the lowest in Central Florida. 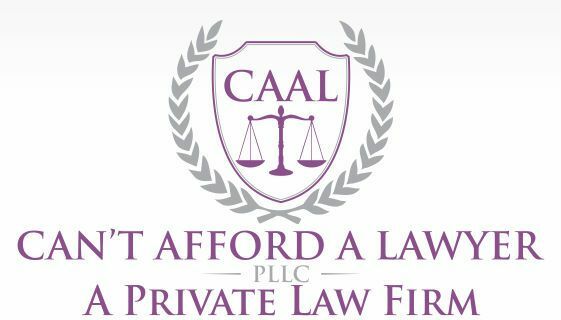 In fact, our low price is a conscious effort; we want to provide an opportunity for those who can’t afford the normal attorney fee. If you have been served with a complaint and summons, respond quickly. Failure to respond in time, and correctly, may cause the judge to enter a final judgment against you. We can help you take care of the courts and handle the debt collector on your behalf. Besides, if you feel a judgment has been entered against you improperly, we can work with you to sort this out, work to get the judgment removed, and address any rights that may have been infringed under the Fair Debt Collection Practice Act. If you are dealing with card debt but have not yet been sued, there may be a chance for us to settle the debt for significantly less. It can be beneficial to handle these debts before being sued. Nonetheless, we can help you find leverage to negotiate a favorable settlement. At Can’t Afford A Lawyer, providing high-quality customer service is at the top of our priority list. We treat our clients with great care, listen to their problems, and advise them accordingly. We answer, promptly, all phone calls and emails, and treat our customers with the highest level of professionalism and respect. Also, we believe all companies and individuals deserve to receive high-quality representation at an affordable price. We offer flat-fee pricing without any hidden fees. Contact us NOW at 321-600-0846 to GET RID of this lawsuit and give you PEACE OF MIND!